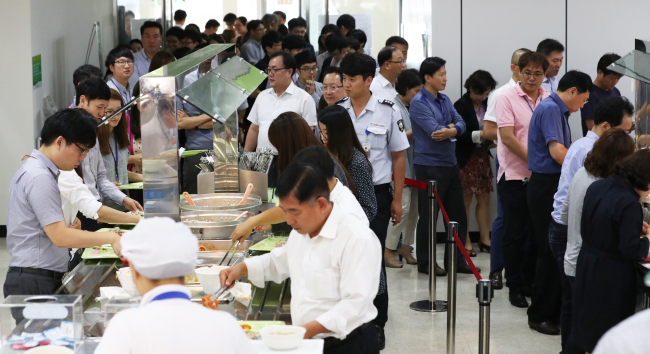 As a watershed anti-graft act came into force Wednesday, Korea’s public officials, businesspeople and teachers alike were seen cautiously picking their lunch place. The Improper Solicitation and Graft Act bans members of civil agencies, private educational institutions and media from giving and receiving free meals, presents or monetary gifts respectively worth 30,000 won ($27), 50,000 won and 100,000 won or higher. The “Kim Young-ran” law, named after the former chief of the Anti-Corruption and Civil Rights Commission who initiated the drive in 2011, is forecast to bring about a sweeping shift in a culture that has long cherished generous hospitality and exchanges of presents as an intrinsic part of business. Some 4 million people from more than 49,000 organizations are subject to the legislation. Violators could face a fine of up to 30 million won or imprisonment for a maximum of three years, irrespective of the existence of a direct link between the gift and a favor. “We expect the act would help create a clean society where everyone can compete on a level playing field, and provide a turning point to sharply increase our national rectitude,” Cheong Wa Dae spokesperson Jeong Yeon-kuk told reporters. 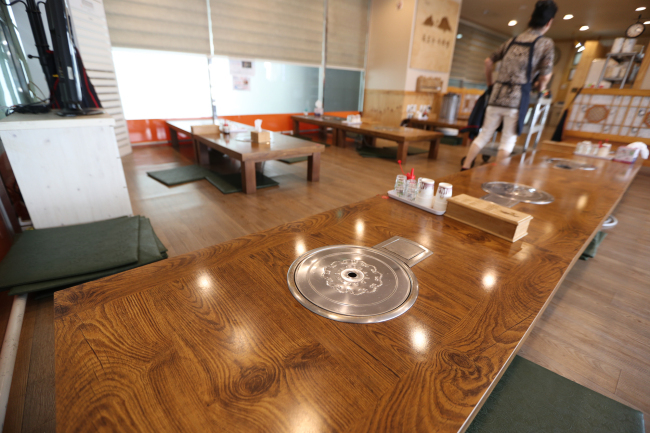 At noon around Gwanghwamun in downtown Seoul, traditional Korean restaurants frequented by officials and lawyers appeared less full, even though many of them had lowered the prices of their lunch courses below the 30,000 won ceiling. Some storied diners had already shut down or changed their menus, such as to everyday food. To boost understanding and minimize confusion, public agencies, businesses and schools have been holding briefing sessions, distributing guidelines and taking written oaths to abide by the law from their employees. “Though we teachers did receive education, there is lingering confusion such as regarding what if parents bring things like coffee or pastries as usual when they visit to consult on their children, and the report process looks a bit too complex, unrealistic or has much room for interpretation,” said Jeong Hye-yeon, a 31-year-old instructor at a high school in Seongnam, Gyeonggi Province. Concerns remain that the legislation may further dampen consumer sentiment in an already flagging economy. It could reinforce bureaucracy and prompt daunted civil servants to further shun contact with the people, critics say. Initial backlash came from cattle growers, fruit farmers and fishermen, as well as small and mid-sized firms. Their yearly boons typically come around the Chuseok and New Year holidays, when many Koreans exchange costly gift packages of high-quality beef, homegrown fruit and fish in a display of gratitude and respect. With the legislation having now taken effect, however, thorough enforcement should be a top priority and any revisions be explored later if necessary to shore it up, officials said. Prime Minister Hwang Kyo-ahn has also called for related state agencies to encourage an “active attitude” among the officials and eliminate uncertainties through the commission’s authoritative interpretations. “For the act to take root in a stable manner and contribute to making a clean, transparent society, it’s more important than anything to prevent confusion at an early phase of its implementation,” he said at a videoconference Cabinet meeting Tuesday.